After five years of pontificate of Pope Francis, the communication strategy of the Vatican continues to be transformed to be in tune with the paradigm of our times. 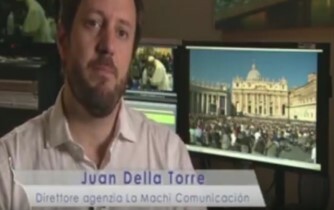 This report by the Italian public network Rai Italia reflects how the Secretariat for Communication – Dicastery of the Roman Curia implemented by the Pope in June 2015 – is working to restructure the Holy See’s communication system. Within this new communication strategy, in order to better respond to the demands of the Church’s mission, innovative formats such as The Pope Video, a project we carry out for the Pope’s Worldwide Prayer Network, plays a significant role.